Gauntlet was the first game to boast having 4 co-operative simultaneous human players in an arcade game. 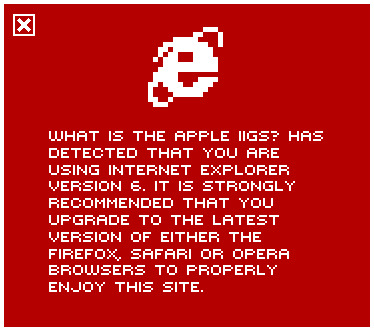 The IIGS version, unfortunately, is nothing much to boast about. Like its brother Mindscape arcade conversion Paperboy, the IIGS version suffers from double pixel width graphics and the same colour palette, inherited from the Commodore 64 version, the result of which are graphics not worthy of the IIGS. Sound is cutely synthesised, but certainly not equal to that of other games' sound and music. On top of that, you can only play two players (one player uses joystick, the other uses keyboard) instead of the four player mode in the arcade...it would have been cramped, but it could be played with two people at the keyboard, one from the joystick and one from the mouse. The game begins with character selection, a choice between an Warrior, Elf, Valkyrie or Wizard. The game play takes place in seemingly endless mazes where seemingly endless monsters unconvincingly drain life force from you, in an effort to stop your progress, which seems endless anyway. There are power-ups and treasure to be had in between this pointless adventure. 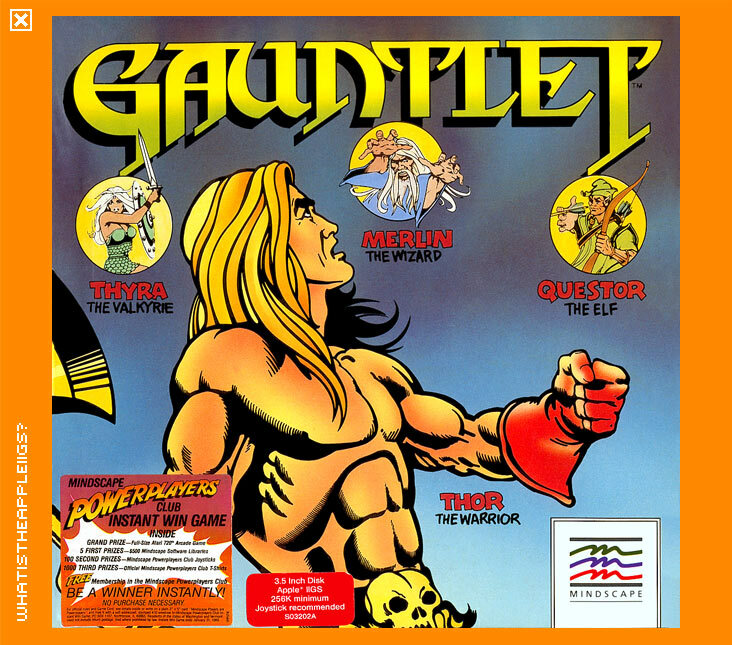 As much as I love the majority of arcade games of the 80s, and indeed many of the ones I like are deemed classics, Gauntlet isn't one of them. I think the game is down right boring. If you want to play a better Gauntlet style game on the IIGS, play Alien Mind or GATE, because at least the graphics change markedly and are better drawn, as well as including better sound, music and additional gameplay. Have fun!